Media Shuttle is an easy to use software solution to transfer large files across networks. Media Shuttle allows you to quickly and securely upload and download content using cloud-based or on-premises storage, without worrying about size limits or security risks associated with moving high-value content. Be sure to check out our Customer Training Videos! Media Shuttle provides a way to move large files quickly to and from cloud or on-premises storage using the Signiant App, a free download available for macOS and Windows. Send portals allow for fast person-to-person file transfers. Share portals make it easy to upload and download files within a storage location. Submit portals provide a way for users to submit files using a simplified upload. 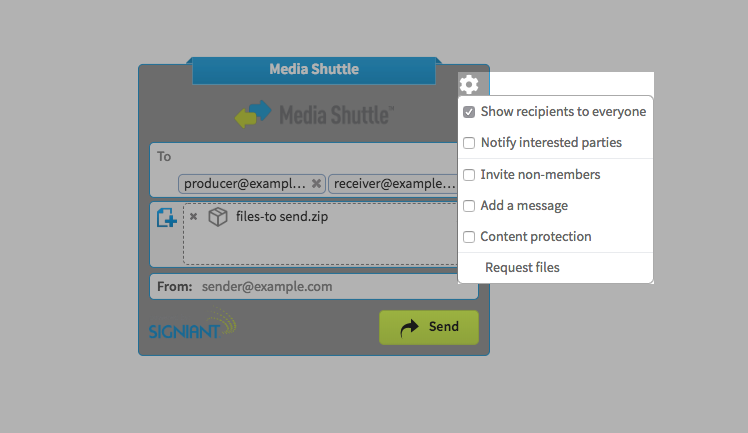 Portal administrators can invite users to transfer content using a Media Shuttle portal by sending them an activation email. How you send and receive content depends on the type of portal you are using. Portals also include transfer options, such as content protection, notifications, and other features that you can use when sending and receiving content to and from storage or other portal members. All three portal types allow you to transfer large files to a central storage, with the main difference being how someone interacts with the content after it’s sent using a portal. Send portals allow you to send content to recipients who will receive a link to download your content from storage. Log into your Media Shuttle portal. Enter recipient email addresses in the To field. 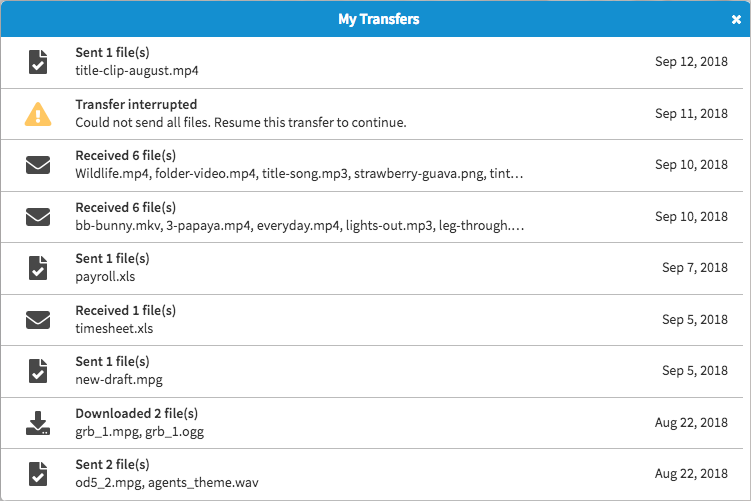 Add files to your transfer. Share portals allow different people to send content to a common storage location for collaborative work. A Share portal allows members to browse other files in storage, create folders, and perform file operations. Members can also send files from Share portals and play full audio and video files within portals. Click Upload to open the Upload menu. Click Upload to upload the files. Once the transfer completes, click Done to return to the Share portal. Submit portals allow you to send content directly to storage. Log into your Submit portal. You can use Media Shuttle to download and receive content from a storage location. 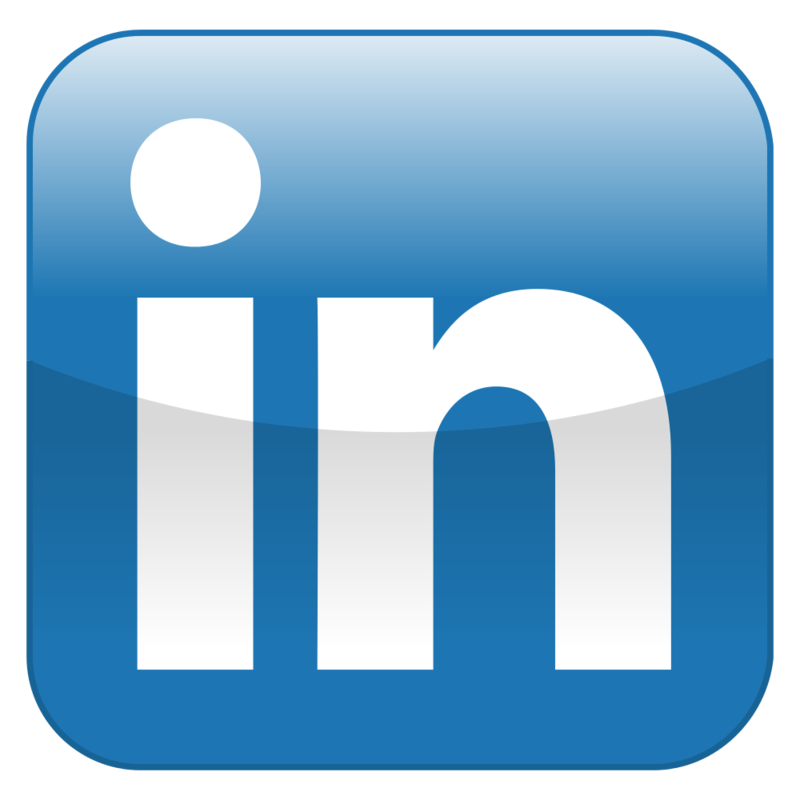 You can request files from another person, download content using a download link, and download content from a Share portal. You can request files from another person using a Send or Share portal. Log in to your Media Shuttle portal. In the File Senders field, enter the email addresses from which you are requesting files. In the File Recipients field, enter the email addresses that will receive a download link. Click Request to send a file request. After the file request is sent, recipients will get an activation email which gives them access to your Send portal. Click the More Options icon. 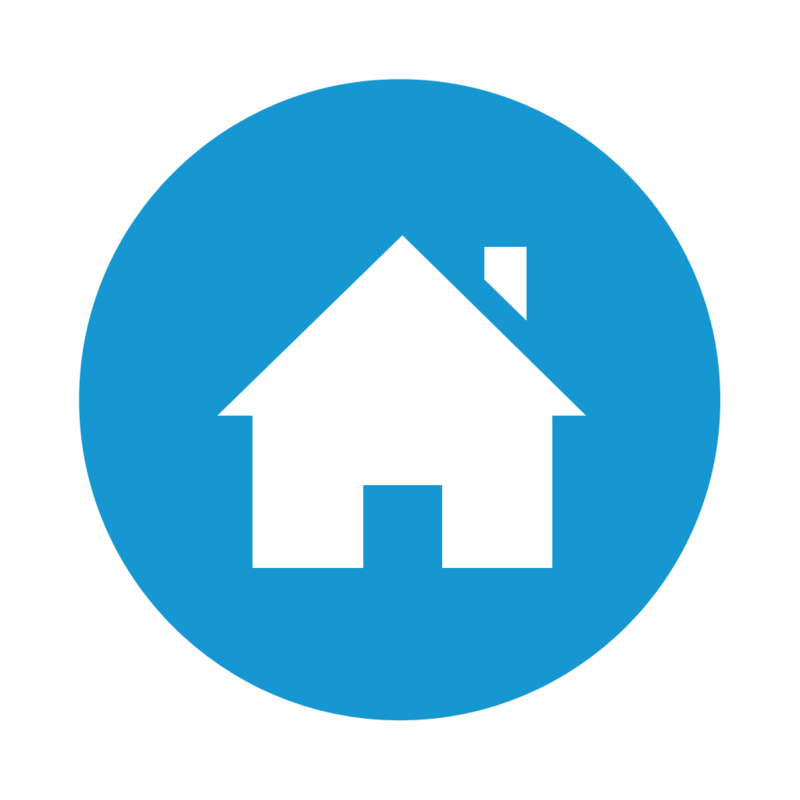 This icon appears when you hover over a folder or the Home bar. Enter the email addresses from which you are requesting files. Click Request files to send a file request. After the file request is sent, recipients will get an activation email which gives them access to your Share portal. Note: Notify me when files are received is selected by default. When enabled, you will receive email notification when the files you requested are uploaded to the portal. Whenever another portal member sends you a file, you will receive a link to download the file from storage. Emailed download links provide access to the files included in the download, and will not grant access to any other files in your storage repository. Select the files and folders you want to download. Transfer Option permissions are granted by portal administrators on an account by account basis. If you require access to any of these features, contact your portal administrator. The Send portal offers advanced features included in your Media Shuttle license. To access these features, click the Settings icon. When sending files to more than one recipient, you can choose to display a list of recipients. This option works much like in an email, where all recipients show in the To field. If this option is not enabled, other recipients will not appear in the To field. Send portals provide an option to notify interested parties when sending files. Unlike recipients, interested parties receive a notification, but are not provided a link to access the files. Any email addresses included in the CC field show as Interested Parties in email notifications related to the transfer. Email addresses used in the BCC field receive a notification, but their email addresses are not shared with other recipients or interested parties. In cases where you routinely send content to recipients that are not already portal members, you can invite non-members to activate an account. When this option is enabled, the portal automatically generates invitations to non-members. Enabling this option allows you to include a short message in emails when requesting a file or sending a download link. For file requests, for example, you can use the Optional message field to add a description of files you are requesting from the sender. Content protection allows you to protect a transfer using a delivery passphrase. The passphrase must be entered before anyone can download protected content. The passphrase must contain between 8 and 50 characters in total, including at least one upper case letter, one lower case letter, and one number or symbol. Access your Share portal’s advanced features by right-clicking on a file or clicking its More Options icon. If you want to send content to another person, you can click Send to create a file transfer as though you were using a Send portal. With Play enabled, you can play the full content of browser-playable audio and video files while logged into a Share portal. To play a file in your Share portal, select a file from the list and click the Play button. Each time you play a file you will be counted as one of the portal’s active users for the month that you played a file. Note: The Play Files feature must be enabled by your portal administrator. Interoperable Master Format (IMF) is a standard for providing a format and structure for media files with multiple assets within a single IMF Package. Share portals support viewing and transferring files linked to a specific IMF Composition on Amazon S3 storage. To open an IMF file and view the project’s Compositions, click Open IMF Package. To send files from an IMF Composition, select a Composition and click Send. Note: When sending files from within an IMF Composition, the transfer will include the individual files included, and not the original IMF package. Auto Delivery is a licensed add-on available on Share portals. It enables automatic transfers between your local machine and your portal storage. Auto Delivery works on a per-account basis, and does not require an open web browser session to automatically upload and download content. If you do not have access to Auto Delivery, contact your portal administrator. Note: You must be running the Signiant App to use Auto Delivery. 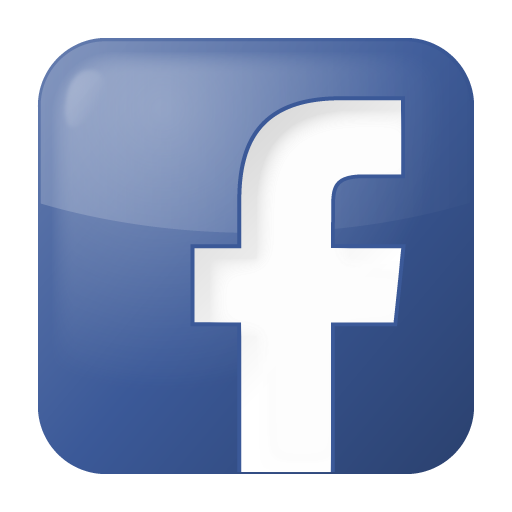 Log in to your Share portal. Click the Automatic toggle to enable it. Select a folder on your computer to send or receive content. Once you have selected your local folder to send or receive content, any relevant transfers should start automatically. When you are logged in, click My Transfers to see an overview of your transfer history with a Media Shuttle portal. Clicking on a transfer in the My Transfers menu displays details about a specific transfer, including the transfer time and date, and the transfer expiry time and date. The More Options menu allows you to perform actions related to certain transfers, such as downloading a received file, forwarding files to other portal members, or resuming a transfer. Note: The actions you can perform on a transfer depend on the portal type. When using a Submit portal, for example, you cannot download files, revoke download links, or forward transfers to additional recipients. 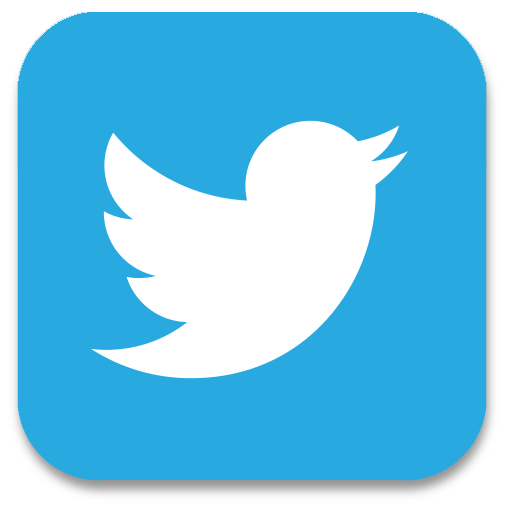 Files sent using a Send, Share, or Submit portal include a list of the Files sent, and a list of Recipients. The recipients list allows you to see if the recipient has downloaded the content, and the time and date of the most recent download. Send and Share portal members can prevent recipients from downloading content before the link expiry date by opening the More Options menu and clicking Revoke to revoke the transfer’s download permission. Sent portal transfers that have not expired can be forwarded to additional recipients by choosing Forward in the More Options menu. 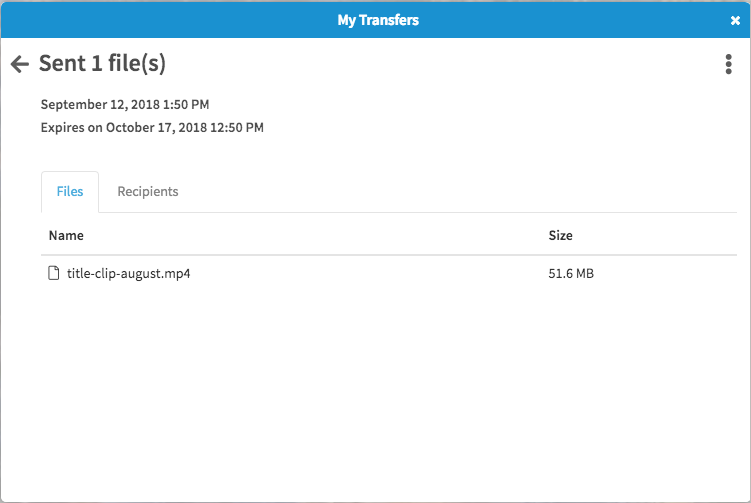 The transfer details for transfers received using Media shuttle include the sender’s email address and a list of Files received in the transfer. To download a received transfer, choose Download in the More Options menu. Sent transfers that have not expired can be forwarded to additional recipients by choosing Forward in the More Options menu. If a file transfer is interrupted, you have the option to resume or retry the transfer via the More Options menu. Note: You are unable to resume a transfer if the files have been moved, deleted, or are unavailable from your current location.